Gary Anderson hit the jackpot in late 1960 with his rowdy rocker New Orleans, billed as U.S. Bonds. Yet Not Me, his raucous encore for Frank Guida's Norfolk, Virginia-based Legrand Records, didn't crease the charts. It fell to Philadelphia's Orlons to make the song a #12 pop/#8 R&B hit in the summer of '63. Its rocking groove had changed little. 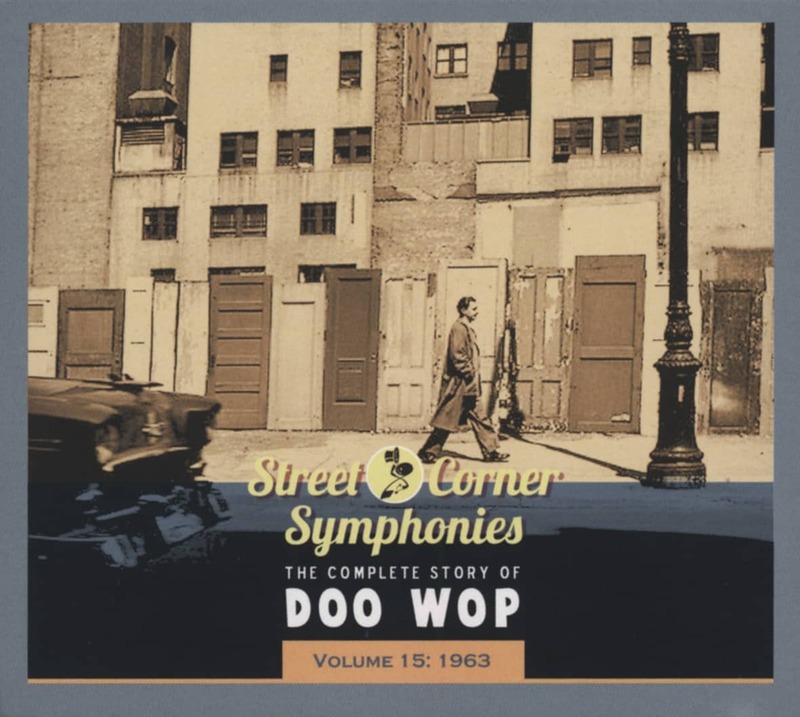 But sopranos Marlena Davis and Rosetta Hightower and alto Shirley Brickley didn't sound a bit like Bonds, and lone male Orlon Steve Caldwell leaped in with his trademark 'frog voice' at the end of every chorus. Cut in May of '63, it was paired with My Best Friend, penned by producers Dave Appell and Cameo Records co-owner Kal Mann. 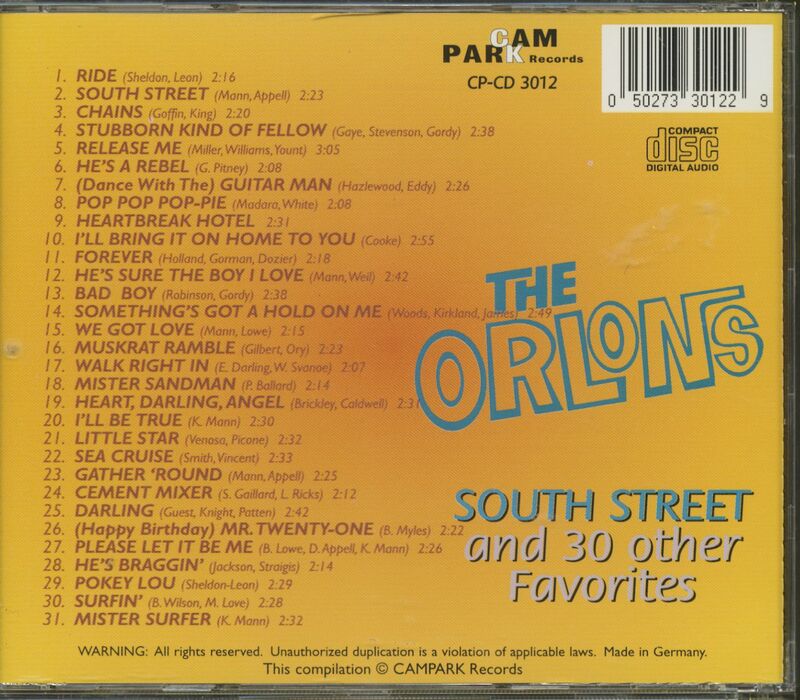 That same prolific duo also supplied The Orlons' top seller that year: South Street was a lively tribute to one of Philly's swingingest thoroughfares that made it to #3 pop a few months earlier. The Orlons had exploded the year before on Cameo with the one-two punch of The Wah Watusi and Don't Hang Up, Hightower handling the leads. The quartet notched two more chart entries before the end of '63, the storming Crossfire! preceding the lesser seller Bon-Doo-Wah (tucked away on its B-side was the mellower Don't Throw Your Love Away, a British Invasion hit when covered the next year by The Searchers). Marlena left the group in October of '63 (Sandy Person was her first replacement). Though the Orlons nicked the charts three more times in '64, none cracked the Top 50 (the storming Shimmy Shimmy certainly deserved to). Caldwell was next to exit in November of '64, leaving The Orlons an all-female entity. 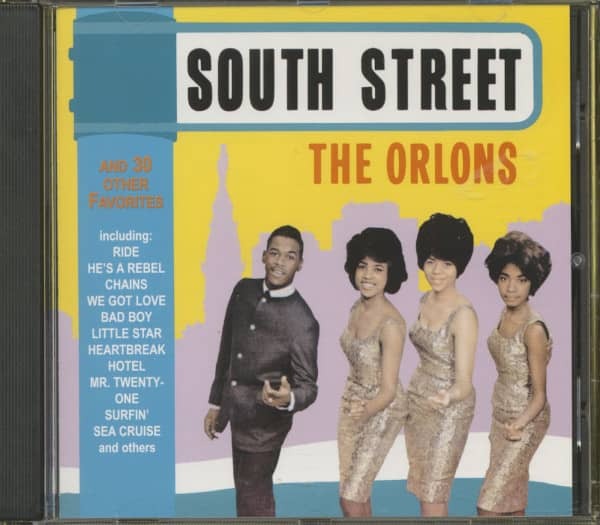 Wrapping up their Cameo stay with a handful of soul-oriented offerings in '65, The Orlons migrated to Calla for a single and ABC for two more. Rosetta left in 1967, moving to England and working as a background singer. Shirley and her sister Audrey kept The Orlons going until Shirley was shot to death by an intruder in her Philly residence on October 13, 1977. Lung cancer claimed Marlena on February 27, 1993; Audrey passed away on July 3, 2005. Customer evaluation for "South Street And 30 Other Favourites (CD)"